Physical Description: The physical characteristics of humans are as varied as the world’s climes. From the dark-skinned tribesmen of the southern continents to the pale and barbaric raiders of the northern lands, humans possess a wide variety of skin colors, body types, and facial features. Generally speaking, humans’ skin color assumes a darker hue the closer to the equator they live. At the same time, bone structure, hair color and texture, eye color, and a host of facial and bodily phenotypic characteristics vary immensely from one locale to another. Cheekbones may be high or broad, noses aquiline or flat, and lips full or thin; eyes range wildly in hue, some deep set in their sockets, and others with full epicanthic folds. Appearance is hardly random, of course, and familial, tribal, or national commonalities often allow the knowledgeable to identify a human’s place of origin on sight, or at least to hazard a good guess. Humans’ origins are also indicated through their traditional styles of bodily decoration, not only in the clothing or jewelry worn, but also in elaborate hairstyles, piercing, tattooing, and even scarification. Society: Human society comprises a multitude of governments, attitudes, and lifestyles. Though the oldest human cultures trace their histories thousands of years into the past, when compared to the societies of other races like elves and dwarves, human society seems to be in a state of constant flux as empires fragment and new kingdoms subsume the old. In general, humans are known for their flexibility, ingenuity, and ambition. Other races sometimes envy humans their seemingly limitless adaptability, not so much biologically speaking but in their willingness to step beyond the known and press on to whatever might await them. While many or even most humans as individuals are content to stay within their comfortable routine, there is a dauntless spirit of discovery endemic to humans as a species that drives them in striving toward possibilities beyond every horizon. Relations: Humans are fecund, and their drive and numbers often spur them into contact with other races during bouts of territorial expansion and colonization. In many cases, this tendency leads to violence and war, yet humans are also swift to forgive and forge alliances with races who do not try to match or exceed them in violence. Proud, sometimes to the point of arrogance, humans might look upon dwarves as miserly drunkards, elves as flighty fops, halflings as craven thieves, gnomes as twisted maniacs, and half-elves and half-orcs as embarrassments—but the race’s diversity among its own members also makes many humans quite adept at accepting others for what they are. Humans may become so absorbed in their own affairs that they remain ignorant of the language and culture of others, and some take this ignorance to a hateful extreme of intolerance, oppression, and rarely even extermination of others they perceive as dangerous, strange, or “impure.” Thankfully, while such incidents and movements may taint all of humanity in the eyes of some, they are more often the exception than the rule. Alignment and Religion: Humanity is perhaps the most diverse of all the common races, with a capacity for both great evil and boundless good. Some humans assemble into vast barbaric hordes, while others build sprawling cities that cover miles. Taken as a whole, most humans are neutral, yet they generally tend to congregate in nations and civilizations with specific alignments. Humans also have the widest range of gods and religions, lacking other races’ ties to tradition and eager to turn to anyone offering them glory or protection. Adventurers: Ambition alone drives countless humans, and for many, adventuring serves as a means to an end, whether it be wealth, acclaim, social status, or arcane knowledge. A few pursue adventuring careers simply for the thrill of danger. Humans hail from myriad regions and backgrounds, and as such can fill any role within an adventuring party. Physical Description: Generally taller than humans, elves possess a graceful, slender physique that is accentuated by their long, pointed ears. It is a mistake, however, to consider them weak or feeble, as the thin limbs of an elf can contain surprising power. Their eyes are wide and almond-shaped, and filled with large, vibrantly colored pupils. The coloration of elves as a whole varies wildly, and is much more diverse than that of human populations. However, as their coloration often matches their surroundings, the elves of a single community may appear quite similar. Forest-dwelling elves often have variations of green, brown, and tan in their hair, eye, and even skin tones. Society: Many elves feel a bond with nature and strive to live in harmony with the natural world. Although, like most, elves prefer bountiful lands where resources are plentiful, when driven to live in harsher climates, they work hard to protect and shepherd the region’s bounty, and learn how to maximize the benefit they receive from what little can be harvested. When they can carve out a sustainable, reliable life in deserts and wastelands, they take pride as a society in the accomplishment. While this can make them excellent guides to outsiders they befriend who must travel through such lands, their disdain of those who have not learned to live off the scant land as they have makes such friends rare. Relations: Elves are prone to dismissing other races, writing them off as rash and impulsive, yet on an individual level, they are excellent judges of character. In many cases an elf will come to value a specific member of another race, seeing that individual as deserving and respectable, while still dismissing the race as a whole. If called on this behavior, the elf often doesn’t understand why his “special friend” is upset the elf has noticed the friend is “so much better than the rest of his kind.” Even elves who see such prejudice for what it is must constantly watch themselves to prevent such views from coloring their thinking. Alignment and Religion: Elves are emotional and capricious, yet value kindness and beauty. Most elves are chaotic good, wishing all creatures to be safe and happy, but unwilling to sacrifice personal freedom or choice to accomplish such goals. They prefer deities who share their love of the mystic qualities of the world. 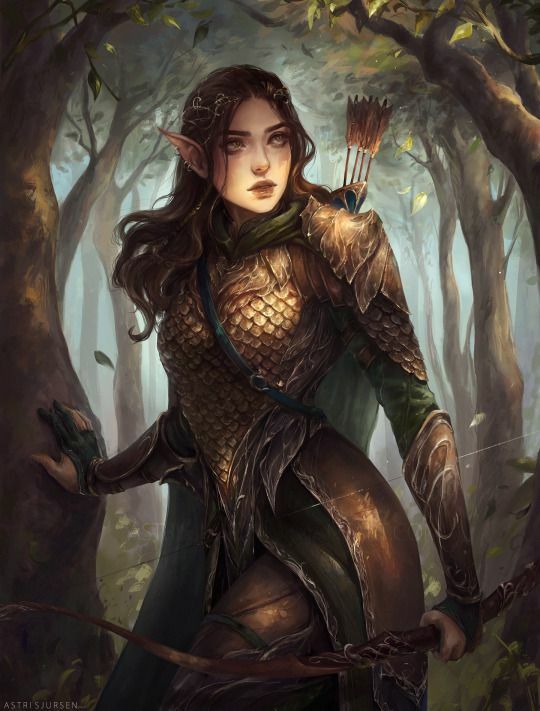 Adventurers: Many elves embark on adventures out of a desire to explore the world, leaving their secluded realms to reclaim forgotten elven magic or search out lost kingdoms established millennia ago by their ancestors. This need to see a wider world is accepted by their societies as a natural part of becoming mature and experienced individuals. Such elves are expected to return in some few decades and take up lives in their homelands once more, enriched both in treasure and in worldview. For those elves raised among humans, however, life within their homes—watching friends and family swiftly age and die—is often stifling, and the ephemeral and unfettered life of an adventurer holds a natural appeal. Elves generally eschew melee because of their relative frailty, preferring instead to engage enemies at range. Most see combat as unpleasant even when needful, and prefer it be done as quickly as possible, preferably without getting close enough to smell their foes. This preference for making war at a distance, coupled with their natural accuracy and grasp of the arcane, encourages elves to pursue classes such as wizards and rangers. High elves were roughly of human height, standing from 5'5" – 6'1" (1.65 – 1.85 meters) on average, but were lighter, weighing from 130 – 180 lbs. (59 – 82 kg). Even exceptionally strong high elves looked rather slim compared with other races, looking athletic rather than muscular. 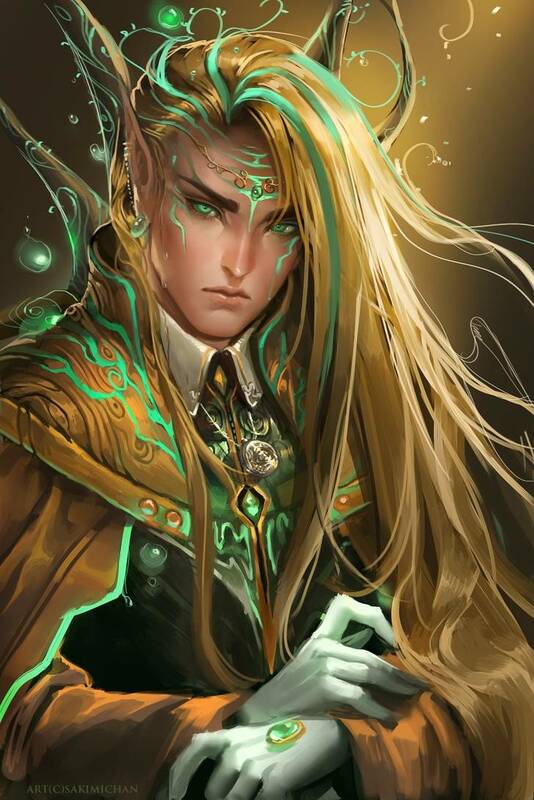 Most high elves were fair-skinned rather than dark and have black hair, with blue eyes being a common eye color among high elves but other colors like green, brown or even purple and yellow being normal. High elves, like elves, grow at a decelerating rate throughout their lives. Very young high elves matured at a rate comparable with humans but during adolescence slowed to a near stop until about 110 years of age, at which point high elves were considered mature. Elves then remained vigorous and active until the middle of their third century. Even so, after this, most high elves suffered few of the infirmities of old age that plagued other races, remaining full of life until the end witch at times can be thosands of years later. Common to all high elves is the fact that they don't sleep. Instead, they enter a trance, also known as a “reverie”, for four hours a day. During this time they meditated on recent events. High elves were graceful, intelligent beings, with a greater capacity for intelligence than most humanoid races while also possessing agility comparable with their elven kin. High elves were also unusually strong-willed and had a natural resistance to the effects of enchantment spells. High elves also had no need for sleep in the same way most humanoids do, instead going into a trance. While in a trance, high elves remain fully aware of their immediate surroundings. Furthermore, high elves need only rest for four hours to get the same effect that most other humanoids got from six hours of sleep. To be a master of the finer sides of the arcane or martial arts. 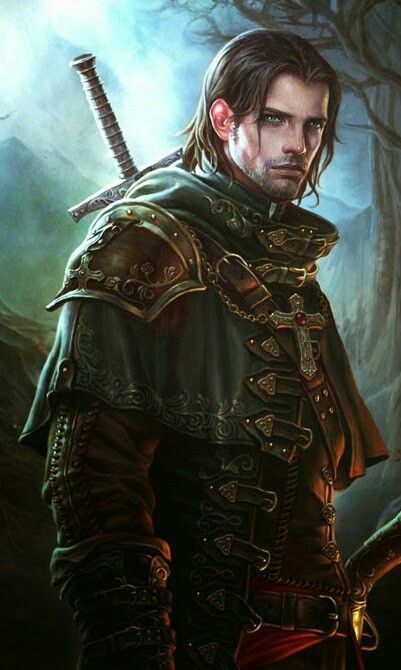 To be a member of a race that favors the Wizard, Rogue, and Bard classes. Grey Elves tend to be slender and athletic. They are slightly shorter than most elves. Their skins tones are usually either pale or lightly tanned some even having a grey sheen to them. 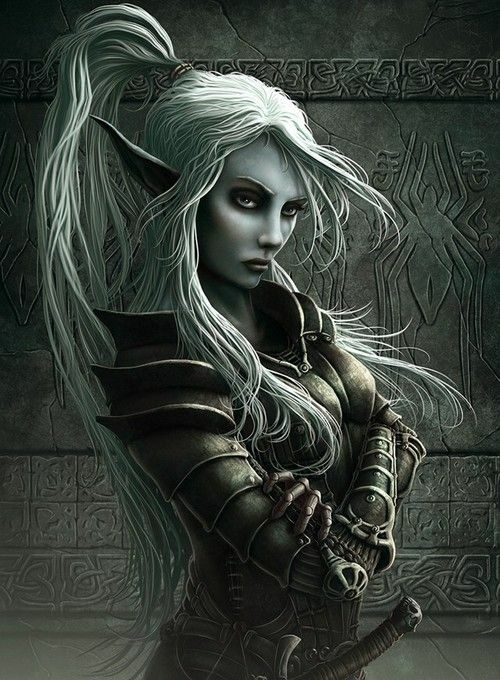 A typical Grey Elf's hair ranges from black to brown to red and even white, sometimes having them be mistaken as Drow, which they truly dislike, but as they age, unlike most elves, any hair color normally fades to grey. Grey Elve's ears are long and pointed, and their eyes are always a shade of grey. They have little body hair. Grey Elves mature at the same rate as normal Elves, but show few effects past adulthood other than the possible greying of their hair. Most Grey Elves can live to be over 1000 years old and remain vigorous until the end. Grey Elves are a race that is always searching for something, whether they are reading ancient tomes, finding the next opponent, or trying to do something that can clear their name in the eyes of the "Tower Elves". They never give up on their searches, no matter how big or small, from finding the secrets of magic or solving a simple riddle. They love intellectual games and are always ready to play one, no matter who the opponent is. Tower Elves are so named because of where they tend to reside, are normally considered to be the more sophisticated and higher class of grey elf. They tend to be aloof, snooty, and oftentimes have a minor superiority complex, which is normally shown by a display of apathy, unconcern, or highly confident competitiveness. They tend to look down on the "Wanderers", generally stripping them of their family name in their own records. Wandering Elves are so named because they left the towers (whether they actually wander the lands or not doesn't matter anymore) tend to be more open-minded and polite. They are very independent and always seeking to prove themselves and learn as much as they can, getting as much life experience as possible. Many don't care about the "Tower Elves", finding them to be outdated and out of touch with the rest of the world. Grey Elves are extremely loyal to friends and family, and place much value on trust. They do not like lying if they can help it, but they have no problems twisting the truth. Many, in fact, find twisting the truth to be a kind of game, a riddle. Grey Elves are also normally seeking not only to make themselves better but whoever they travel with as well. Three sample Grey Elf adventurers are described below. Mathar is a Grey Elven Wizard and spends his time in his tower trying to find the greatest arcane secrets he can find. On the rare occasion, he does come out of his reclusive abode, he goes to sites of magical power. His companions, for he can be too aloof for friendship to actually begin, find him distant at times, but still very perceptive. Siavel is a Grey Elven Rogue. He wanders from city to city to find a new person to fight in a good, one-on-one duel. With a rapier wit and weapon as well, he is known for his grace in battle and in the word. While he goes looking for duels, he does not go looking for fights. Ansta is a Grey Elven Bard. She spends her time gathering tales from everywhere she goes. Her goals are to collect all the stories she can find and file and catalog them. After gathering them up she wishes to study them all and find links, discovering the cultural history of the world. Wood elves, also known as copper elves, or Or-tel-quessir were the most populous of the elven races beside High elves. Wood elves see themselves as guardians of the forest. Wood elves are easily identifiable by their coppery skin and green, brown, or hazel eyes. Wood elven hair is usually black or brown, although hues such as blond or copper red are also found. 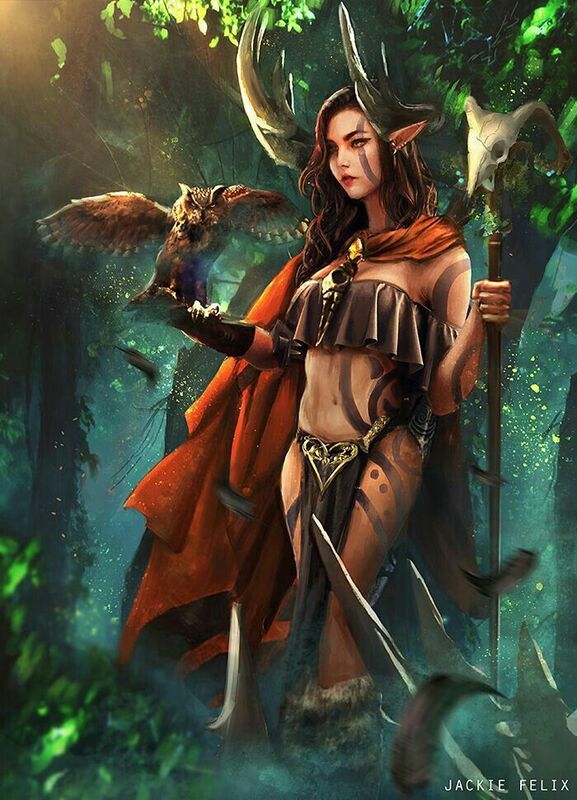 Wood elves tended to dress in simple clothes, similar to those of the moon elves but with fewer bold colors and a greater number of earth tones that blended into their natural surroundings. Accustomed to a harsh, naturalistic lifestyle, wood elves love to wear leather armor, even when they are not under immediate threat. Wood elves are roughly identical to other elves in height and build, with males larger than females. Wood elves are often stronger than other Tel-quessir, including other elves, but are frequently less cerebral than moon and sun elves, who put a greater value on education. As a people, wood elves are largely seen as calm and level-headed. Arousing strong emotions in wood elves are not something that is easily done, although many do have a strong aversion for large cities, having lost the passion for urbanization. To wood elves, the trappings of civilization, including the mightiest of fortresses or tallest walls, are transient and impermanent things that would eventually be overcome by the long processes of nature. To many, this attitude seems condescending, weakening the bonds between wood elves and other races. Additionally, wood elves could sometimes seem off-putting compared to other elven people, with a gruff manner that makes them less charismatic, despite their avowed compassion and humility.